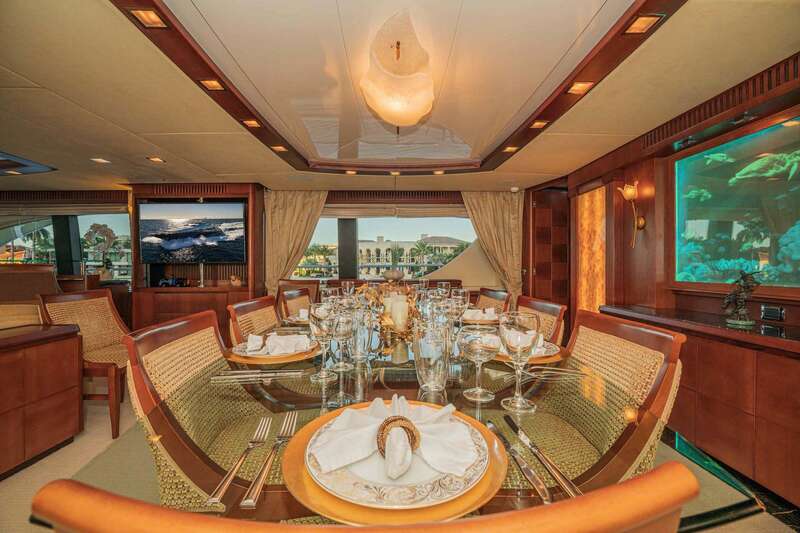 Spacious Main Salon with full bar area and entertainment center, formal dining forward seating up to 12 guests with lighted onyx-accented panels. 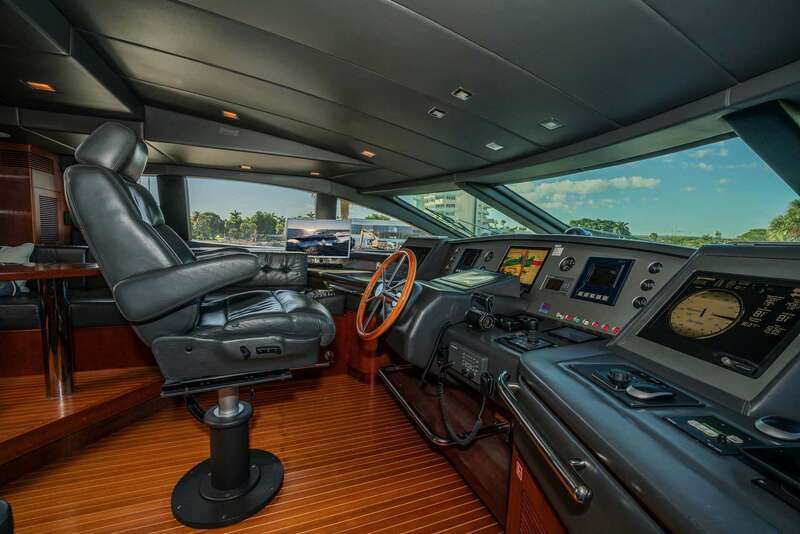 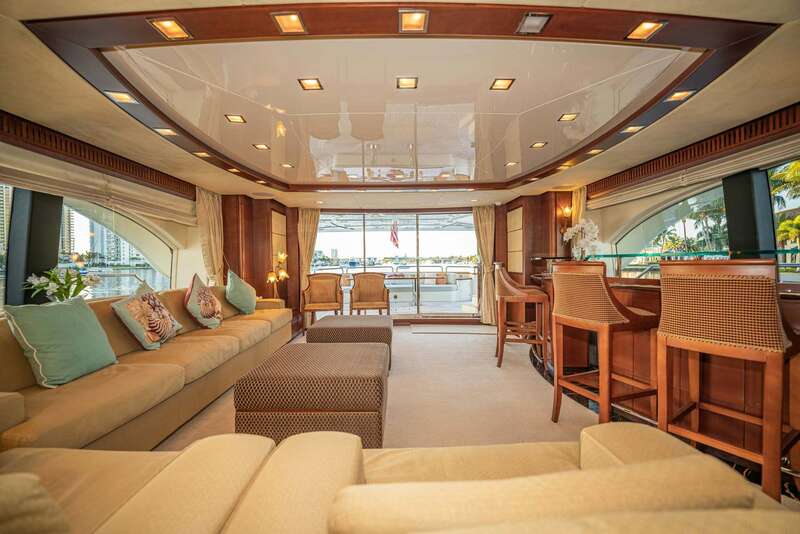 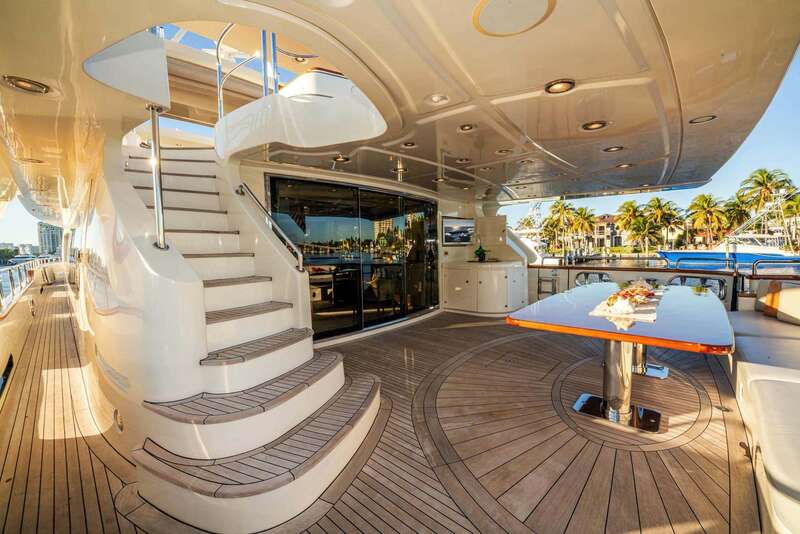 Main Deck: full walk-around to large high bow with upper and lower sunpads, aft deck seating for 12 w/ wet bar and TV. 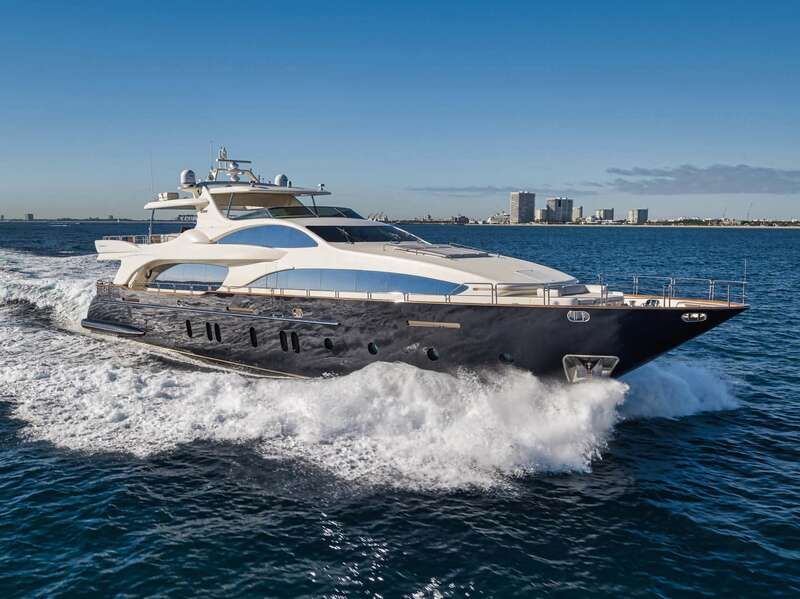 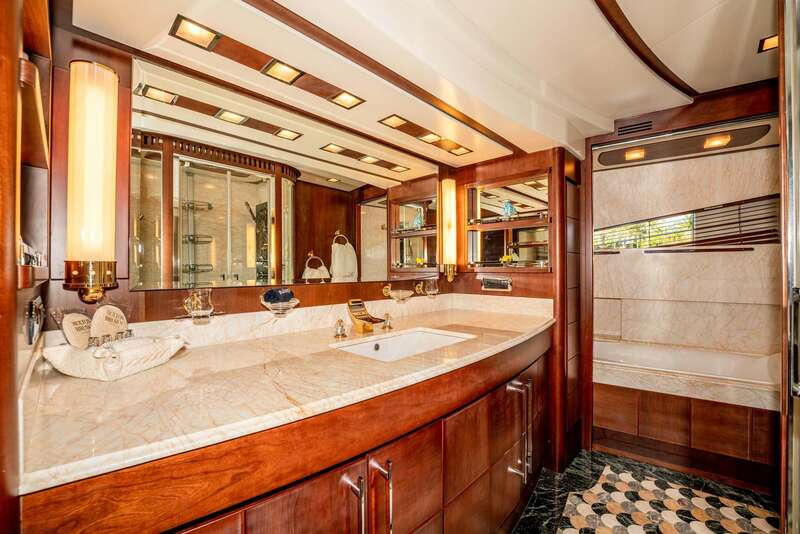 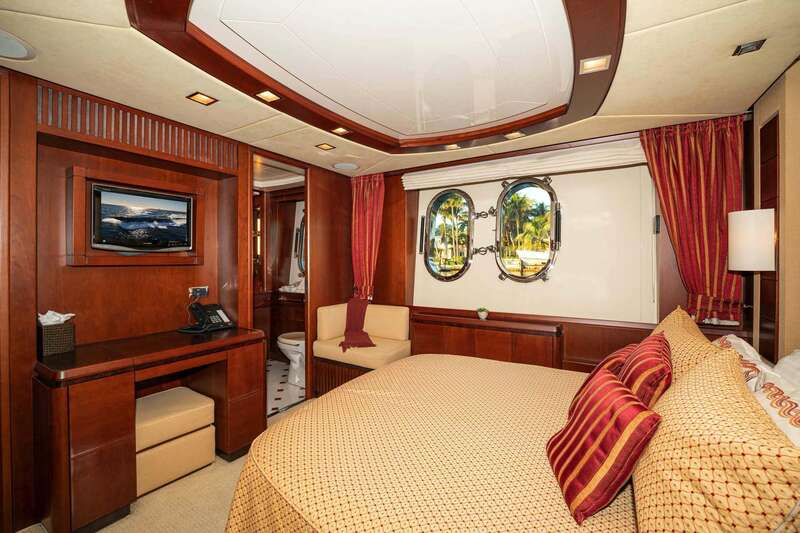 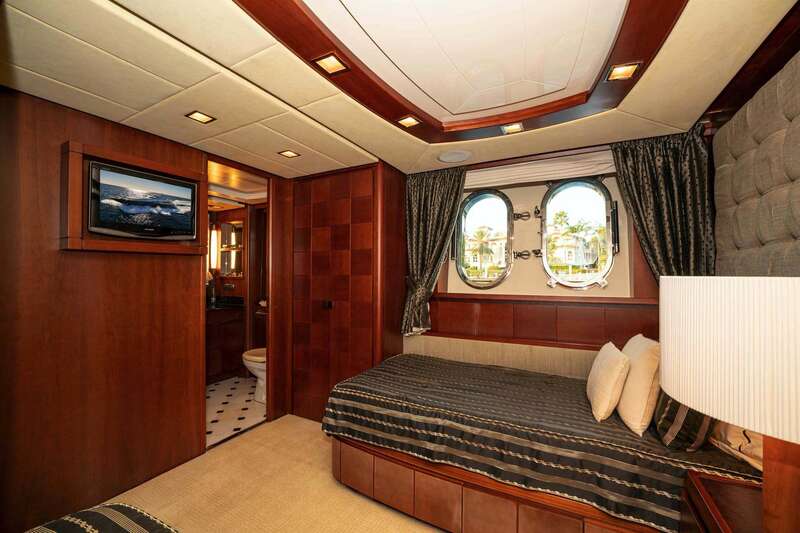 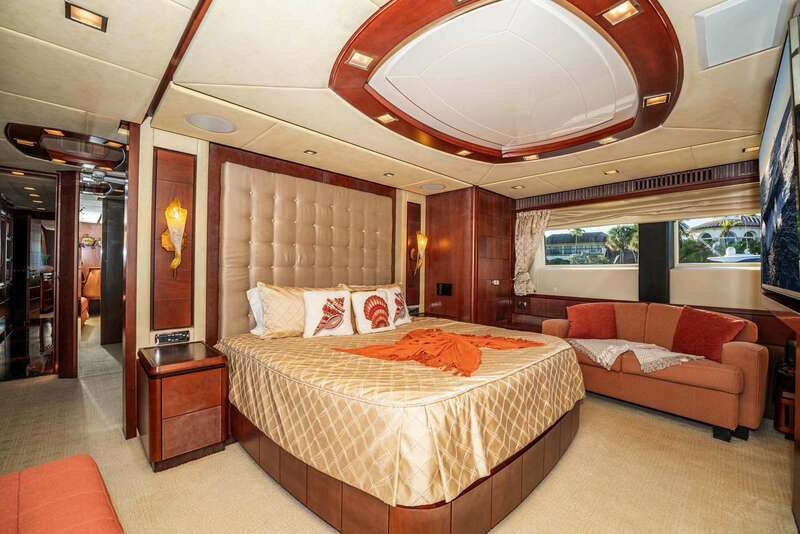 Master King forward on Main deck with large windows, ensuite marble bathroom, Jacuzzi tub, separate shower.